Economic Indicators Report shows thriving healthcare industry; diverse industry growth. Choose DuPage has released its 2018 Third Quarter Economic Indicators Report proving DuPage County’s sustainable economic health and consistent growth. Data shows DuPage County’s unemployment rates, as well as industrial and office vacancy rates, have all lowered over the past year. The county unemployment rates have dropped from 4.4 percent from the third quarter in 2017 to 3.1 percent, maintaining the lowest unemployment rate in the region. DuPage County’s steady and sustainable growth illustrates its capacity to cultivate new and expanding businesses for long-term growth. The healthcare and social assistance industries employ more than 75,000 workers in DuPage County—nearly 12 percent of the county’s workforce. The healthcare industry has added more than 14,000 jobs over the last five years and is projected to expand by more than another 1,200 jobs over the next year. 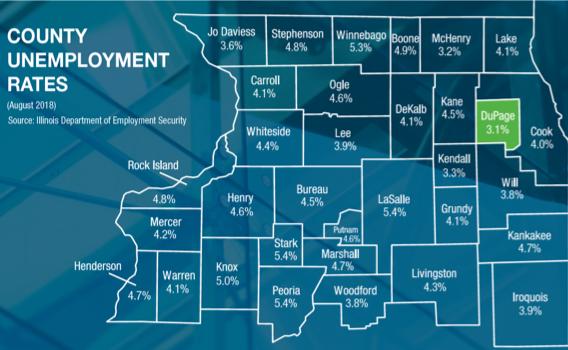 DuPage County continues to maintain the lowest unemployment rate in the region at 3.1 percent – down more than one percent during this same time last year from 4.4 percent. The county’s unemployment rate is lower than both the State of Illinois (4.2 percent) and the United States (3.9 percent). Since 2017-Q3, industrial vacancy rates decreased from 5.2 percent to 4 percent; while the office vacancy rate dropped from 16.6 to 14.7 percent. The fastest growing industry in DuPage County continues to be the healthcare and social assistance sectors, expanding at an average rate of 4 percent each year over the past five consecutive years. DuPage County is home to nearly 75,000 business taking advantage of the region’s highly educated and skilled workforce. Together, these companies represent more than 652,000 jobs across a variety of industries operating throughout DuPage. 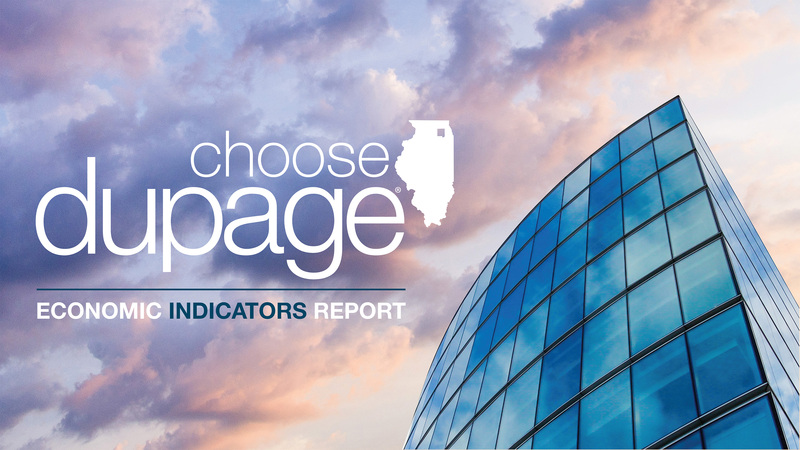 Download the Choose DuPage 2018 Third Quarter Economic Indicators Report here.